We were honoured to be the recipient of the Town & County Excellence Award 2018. 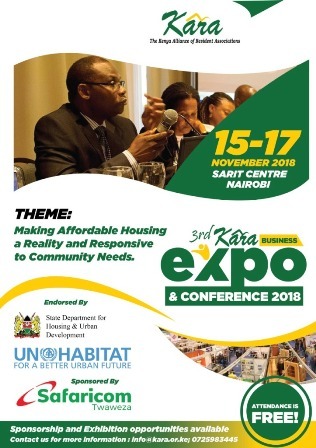 The award, given by the Town and County Planners Association of Kenya (TCPAK), was in recognition of our “strong commitment towards advocating and supporting the improvement of neighborhoods in various towns and counties in Kenya which has contributed towards making better Towns, Counties and Country." We appreciate TCPAK for recognizing our efforts.